Munalaid is the closest mainland point to Kihnu Island in the Gulf of Riga. 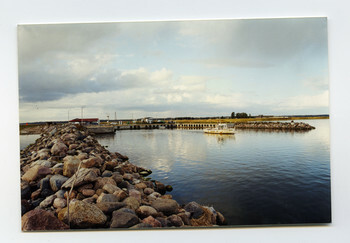 Munalaid first came up as a harbour site in the 1970s. 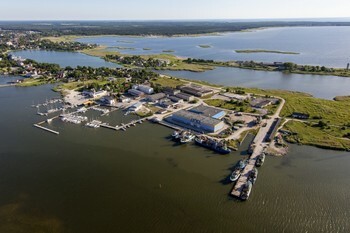 It was decided that Kihnu needed to be serviced from a closer mainland port than Pärnu. In 1972, a dam began to be built from nearby Lao Port. An 800-metre-long embankment was built on Munalaid. What had been a three or four hour leg from Pärnu now became considerably shorter. But eventually, stormy seas washed away much of the dam and it was not restored. 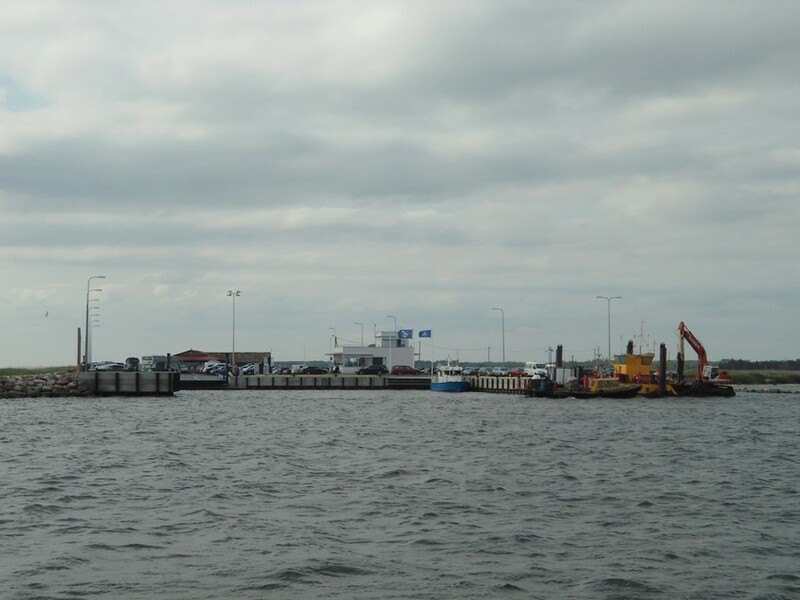 New winds started blowing through Munalaiu Port after Estonia regained independence in 1991. After Kihnu Municipality was reinstated, shipping routes between the island and mainland began to be developed. 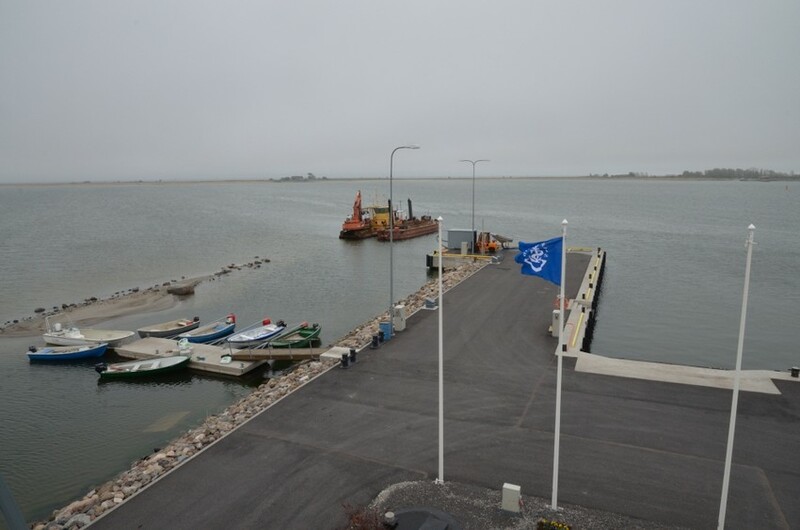 Two years later, the first phase of Munalaiu Port was completed and the ferry Jõnn, a Swedish built Färje 211 from 1955, began plying the waters on the Munalaid-Kihnu route. Munalaiu port also has a shipping link with nearby Manilaid, an islet where a new port was built in 2008. View of Munalaiu Port from the sea, 2014.